Home Care Experts, Inc. are proud of where we are right now. Welcome to Home Care Experts, Inc. It will be our pleasure to receive your referrals. Thank you for recommending Home Care Experts, Inc. to your friends and family. There is one important thing that we as humans can do. We can make a choice. Apart from staying on the conventional, we always have alternatives, better options. It is the same in the medical and rehabilitative options that we have during a health crisis. Hospital confinement is not the only option. As technological advancements have showed us innovative ways of doing things and improving our lives, our yearning to have more has brought us to another fulfilling and caring service, the home care field. When certain factors limit our convenience, comfort and safety to travel for our regular hospital check-ups or visiting to care homes and facilities for our loved ones, home care can give you the most convenient option. 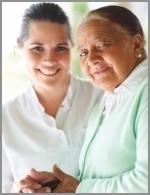 Home Care Experts, Inc. will give you the care you need at home. We take the task of getting quality care into your homes. We deliver them to you: programs in physical therapy, recovery components from occupational therapy, communication and speech trainings in speech therapy, clinical procedures from skilled nursing, home health support by aides and administrative assistance from medical social workers. Home Care Experts, Inc. makes these programs available 24/7. Call (586) 751-2775 or (877) 751-2776 anytime! To be the most preferred provider of home health care.